Phil Mannion and his pet dino. Deducing diversity patterns through time is one of the most important elements in understanding the macroevolutionary history of a group of organisms, enabling us to recognise major events in the history of life, including adaptive radiations and extinctions. However, there is increasing evidence that diversity patterns observed directly from the fossil record are strongly influenced by fluctuations in the quality of our sampling of the rock record and so any patterns we see may reflect sampling biases, rather than genuine biological signals. As such, a number of workers have investigated the quality of the fossil record with regard to sampling biases; however, few studies have considered the completeness of the fossil remains themselves. The principle underlying the use of sampling proxies is that there should be some mechanism by which the proxy controls our opportunities to observe diversity in the fossil record. For example, sedimentary rock outcrop area could affect observed diversity because the amount of rock preserved has some control over our opportunities to collect fossils. One aspect of observed diversity that is not captured by previous sampling proxies relates to how the state of preservation of fossils controls our opportunities to identify particular genera or species. A time interval might contain a relatively large amount of sedimentary rock, including numerous formations, and might also have been thoroughly sampled in terms of the number collections made, but observed diversity will still be low if the recovered fossils are so fragmentary that they can be assigned only to indeterminate members of higher taxa. Our ability to identify fossils to lower taxonomic levels, such as genus or species, depends on which parts of the organism are preserved and the taxonomic/phylogenetic information content of those parts. 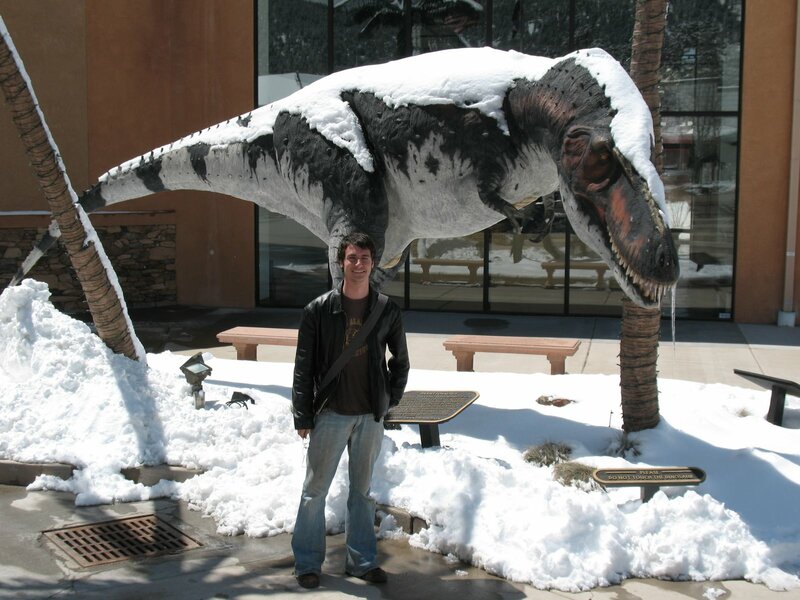 Over the course of my PhD investigating the environmental and geological controls that affect sauropodomorph dinosaur diversity and distribution, I was “keen” to attempt to deal with this problem in a quantitative way. Thus, along with my PhD supervisor and co-author Paul Upchurch, we devised two new metrics for quantifying the completeness of the fossil remains of taxa through time. The “Skeletal Completeness Metric” divides the skeleton up into percentages based on the amount of bone for each region, whereas the “Character Completeness Metric” is based on the number of characters that can be scored for each skeletal element in phylogenetic analyses. For both metrics, the completeness of the most complete individual and of the type specimen was calculated. We also calculated how well the taxon as a whole is known from its remains (i.e. it utilises all known individuals of that taxon). Collecting these data and calculating the metrics for 175 sauropodomorph genera provided me with weeks of fun, which I will never ever be able to get back. A pair of very complete sauropods - Apatosaurus and Diplodocus. Image courtesy of Phil Mannion. These metrics were then plotted against geological time and compared with sauropodomorph diversity. The completeness of sauropodomorph specimens has fluctuated throughout geological time, with peaks in the earliest Jurassic, Late Jurassic, and latest Cretaceous, and troughs in the latest Triassic, early Middle Jurassic, earliest Cretaceous, and early Late Cretaceous. The presence of an Early Jurassic peak in completeness is surprising given that this interval is generally perceived as a time of poor fossil record quality, as a consequence of the relatively limited geographic sampling of terrestrial sediments of this age. 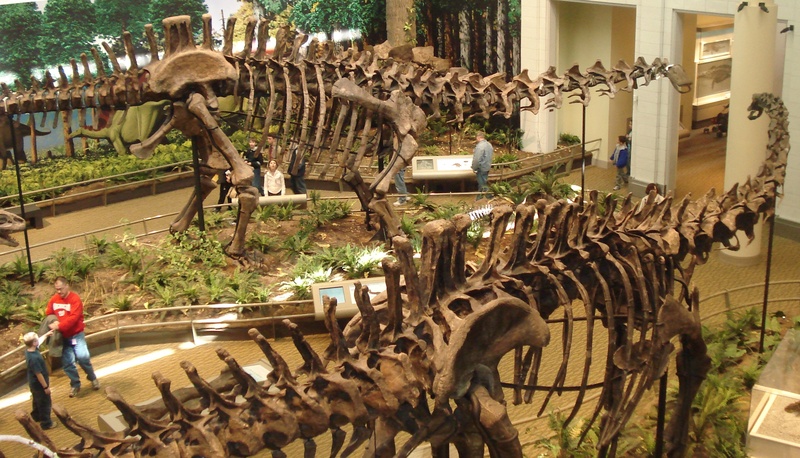 However, the high score can partly be attributed to the presence of many well-preserved prosauropod and basal sauropod skeletons from South Africa and China. The early Middle Jurassic low point matches a particularly poor part of the sauropod fossil record. High levels of completeness in the earliest Late Jurassic (Oxfordian) at first seem odd given the presence of only two sauropod taxa for this stage. However, the “number of opportunities to observe” is higher for this time period than for any other Jurassic stage (Upchurch and Barrett 2005), suggesting that the Oxfordian (despite a good rock record) may represent a genuine trough in sauropod diversity. Completeness remains high for the Late Jurassic before a large decrease at the Jurassic/Cretaceous (J/K) boundary, which also marks a dramatic decrease in sauropod diversity. After the J/K boundary, completeness initially increases before declining in the mid-Cretaceous. Early Late Cretaceous levels of completeness are consistently lower than at any other point during sauropodomorph evolution. This is not surprising given that until fairly recently no diagnosable sauropod genera were known from much of this time interval, because the few specimens that had been found were extremely fragmentary. There is a moderate increase in fossil record quality for the latest Cretaceous, which matches a peak in sauropod diversity at this time, reflecting recent discoveries of many new titanosaurian genera. The generally lower levels of completeness in the Cretaceous are somewhat surprising given that the number of dinosaur-bearing formations is higher for this period than for the rest of the Mesozoic, as well as the factor of the “Pull of the Recent”. Whilst working on these metrics, two papers (Benton 2008a, b) were published indicating that the quality of dinosaurian type material had improved through historical time (1830-Present). So I also investigated whether this was true for sauropodomorph specimens, using my new completeness metrics. Although our results support the view that specimen completeness has increased since 1830, this “trend” masks a more complex picture in which completeness scores fluctuate from decade to decade, and from year to year. The type specimens described during the earliest phase of dinosaur palaeontology (1830-1900) apparently were, on average, less complete than those described since 1900. However, it seems inevitable that the specimens discovered early in a field’s history will be genuinely “new,” irrespective of their completeness, and will receive a name. As the number of type specimens and completeness of specimens available for comparison increases through time, many of the early type specimens will be shown to be invalid because their once diagnostic characters have been shown to be much more widespread. The fact that average type specimen quality has not increased since 1900, and indeed is particularly low for the past decade, suggests that palaeontologists have continued to name new taxa on the basis of very incomplete specimens. Although our work is based only on sauropodomorphs, re-analysis of Benton’s data for all dinosaurs indicates that there is no trend toward increasing type specimen completeness through more recent historical time (i.e. 1900 onwards). Much remains to be done in terms of comparing completeness metric scores with other measurements used as proxies for sampling the fossil record (e.g. numbers of fossil-bearing formations, sedimentary rock outcrop area) and with factors that might control preservation rates (e.g. sea level, relative extent of different facies types, erosion rates). This preliminary study hopefully provides a foundation for such work. Much more detail is in the paper, which is available to download at the Paleobiology website; alternatively, feel free to contact me for a PDF (p.mannion AT ucl.ac.uk). Benton, M. J. 2008a. Fossil quality and naming dinosaurs. Biology Letters 4:729–732. Benton, M. J. 2008b. How to find a dinosaur, and the role of synonymy in biodiversity studies. 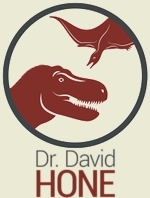 Paleobiology 34:516–533. Mannion, P. D. and Upchurch, P. 2010. Completeness metrics and the quality of the sauropodomorph fossil record through geological and historical time. Paleobiology 36:283-302. Upchurch, P. and Barrett, P. M. 2005. A phylogenetic perspective on sauropod diversity. Pp. 104–124 in Curry Rogers, K. A. and Wilson, J. A. (eds) The sauropods: evolution and paleobiology. University of California Press, Berkeley. A very interesting paper! Indeed! This very nice, Phil. I’d have more comments to make, but first, a private message to ask for this paper! Since reading it first is better than reading the abstract! If anything, your metrics will be interesting to look at.